So there has been a lot of hoopla about some early results from Curiosity's Sample Analysis at Mars (SAM) instrument this week. NASA has now issued a statement to the effect that these early results contain no definitive evidence of organics on Mars, and that there will be nothing to announce on Monday more exciting than the fact that the most expensive, most complex instrument ever sent to the surface of Mars is returning great-looking data for the first time. While I think that's exciting news, I'm sympathetic to the plight of a member of the general public who was misled by irresponsible speculation -- and not NASA's, by the way! -- into thinking that NASA discovered life on Mars. In an effort to bring some actual content to this discussion, I'm hereby offering a detailed explainer on how SAM actually works and what it is designed to detect. Settle in; it's 4000 words long. Before I begin, though, I want to talk about a problematic word: "organic." Look up definitions of "organic" on the Web and a great many of them circle around to life. But when a space scientist talks about organic compounds, usually all they mean is a compound that contains carbon and hydrogen. So carbon dioxide, diamond, and cyanides are not organic, but hydrocarbons (methane, ethane, propane, etc...) and alcohols and amino acids are. The Wikipedia entry on organic chemistry discusses the problematic, occasionally arbitrary, and often not-very-useful nature of this hair-splitting. So I'm going to use a different phrase, "carbon-containing compounds," because that's really what we're talking about here. 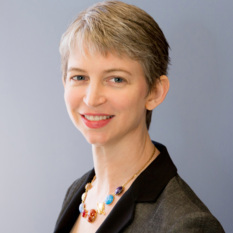 Enjoy an hour of explanation of Curiosity's Sample Analysis at Mars instrument with Emily Lakdawalla and Pamela Conrad. What does the inventory of carbon compounds, or lack thereof, near the surface of Mars reveal about its potential habitability? What are the chemical and isotopic states of the lighter elements in the rocks, soils, and atmosphere and what do these reveal about potential habitability? How were past environmental conditions different from today's? Just from reading these questions, you can get a pretty good idea of SAM's capabilities. It can detect carbon compounds in Mars rock and soil samples, if they exist, and can tell us what compounds they are. It can measure isotopic ratios of light elements. The compounds it finds can tell us about the environmental conditions that prevailed when they form. Why are we asking these specific questions about Mars? It's more or less accepted that Mars' presently not-very-habitable environment wasn't always that way. Today it's cold, dry, and exposed to ionizing radiation. In the past, a magnetic field, thicker atmosphere, and warmer temperatures may have fostered the presence of liquid water sheltered from ionizing radiation. Even if the past climate wasn't nicer, past Mars definitely did have more liquid water, at least briefly or episodically, than Mars does now. Life originated on Earth at or before 3.8 billion years ago. At the same time, it's possible life originated on Mars too, or maybe it originated on one world and was carried to the other. This possible Mars life is not obvious today, so if it ever existed, it either went extinct or underground. Since Mars hasn't been too geologically active since then, it's possible that evidence for this possible life that may have thrived in this possibly better ancient environment might be preserved in rocks exposed at the surface. Interestingly, the odds of preservation of such ancient evidence for life are higher for Mars than for Earth because of Mars' substantially lower rate of geological activity. Most of Earth's most ancient rocks are destroyed or massively altered. Mars still has very, very ancient rocks exposed at the surface, very little changed from when they formed. Curiosity has been sent to a landing site exposing more ancient rocks than any lander or rover has ever studied. Unfortunately, even if any organic remains of any ancient Mars organisms were preserved in rocks, anything close enough to the surface to be accessible to Curiosity will have been attacked by radiation or oxidizing chemicals. Evidence of the original compounds will be in the form of different compounds, made from the breakup of more complex ones, that might possibly bear isotopic signatures that indicate a biogenic origin. If you look back at the last two paragraphs, you'll see words like "possible" and "may" showing up quite a lot. The fact is, we know very little about Mars' ancient past, so it's really hard to predict what we'll find, and if it can tell us much of anything about whether or not ancient life existed. We will learn what we can, by exploring rocks ancient enough to preserve a record of what was happening way back then. Curiosity's mission goals are designed so that the mission will succeed at teaching us a great deal about Mars even if the rover finds zero evidence for ancient life. Even if SAM does find carbon compounds, they are not likely to have been created by life. Meteorites called carbonaceous chondrites contain a lot of carbon, in chemicals like kerogens, amino acids, carboxylic acids, and nucleobases. A million kilograms of this material rains down on Mars every year. So near-surface carbon compounds are most likely from meteorites. Organics stuck inside rocks might be from ancient meteorites, or from Mars life. The conservative assumption is that all the carbon is meteoric. No one will be able to make a claim for evidence of past Mars life without first eliminating the possibility that the carbon compounds came from meteorites. Since it's hard to prove a negative, there will not be any slam-dunk finding from SAM that says "Mars life was here." There will have to be a story pieced together using multiple lines of evidence over a lengthy period of investigation. What the SAM inventory of organic compounds will really tell us is what raw materials would have been present when life was first getting started, either on Earth or on Mars. 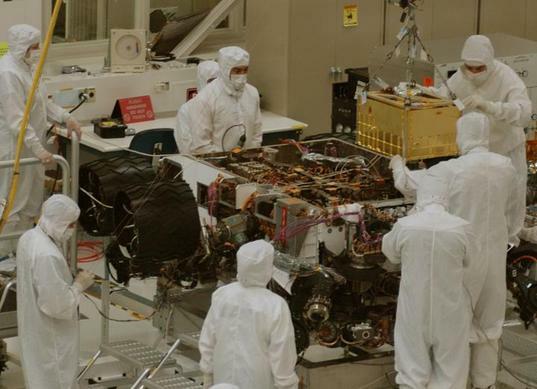 The Sample Analysis at Mars, or SAM, is about the size of a microwave oven. This image was taken before installation of its side panels and before environmental testing. 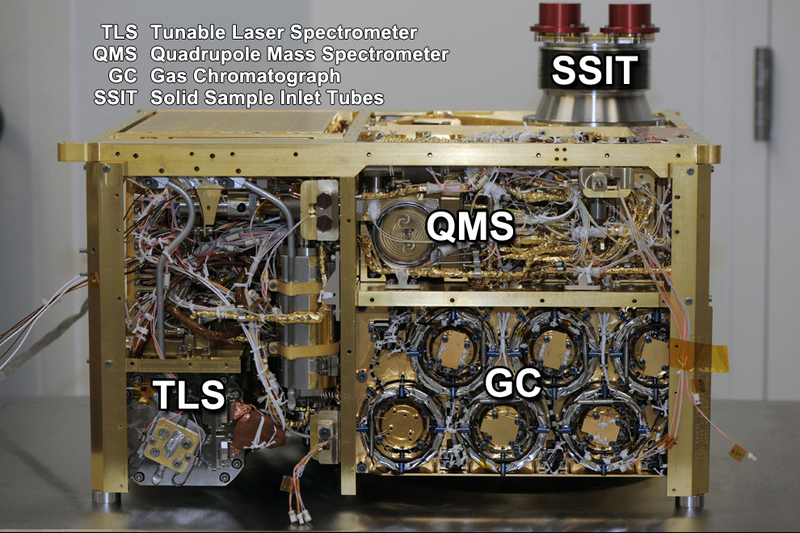 The suite's three instruments are visible: the tunable laser spectrometer (TLS) at lower left, quadrupole mass spectrometer (QMS) at upper right, and gas chromatograph (GC) at lower right. This is SAM being installed inside Curiosity, which had been rotated upside down for instrument installation. This is a really big instrument, weighing in at 40 kilograms, and is in large part responsible for Curiosity's enormous size. On the outside, on the rover deck, SAM has two large inlet ports for solid samples. Curiosity uses its soil scoop or drill and a bunch of sieves and shakers in the turret on the robotic arm to prepare very small portions of finely powdery material to the ports. To learn about that part of the process, you should read the excellent series of guest blogs by Dan Limonadi, beginning with this one. 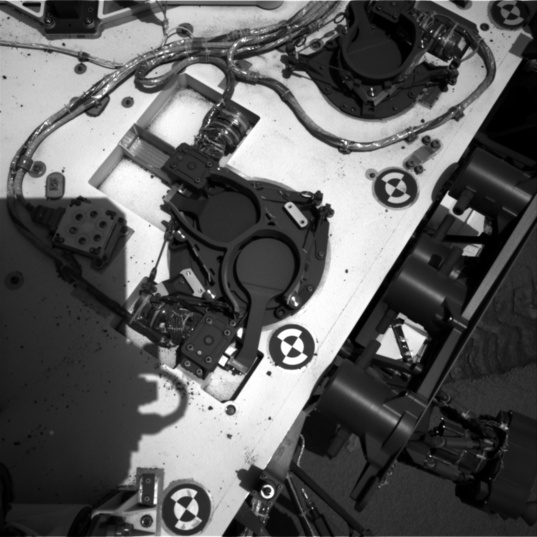 Curiosity took this photo of its own deck on sol 90 (November 6, 2012). At the center are the two SAM solid sample inlet ports (SSITs). At top right is the Chemin inlet. Both of these have wind baffles that prevent the powdered sample from being blown away during transfer. To the left of the SAM inlets is the ultraviolet sensor (the six dots in a ring). On Curiosity's starboard side, SAM has two smaller inlet ports for atmospheric gas intake. Curiosity's Sample Analysis at Mars (SAM) instrument has two atmospheric gas inlets, located at the front starboard side of the rover body. SAM is really, really complicated, with lots of parts. Ultimately, all of its parts are designed to move gases to and through three main analytical instruments. Even when SAM takes in solid samples, what it measures are gases made from those solid samples by a variety of different methods. Here's a list of the instruments and parts and what they do. I'm also writing down the acronyms and initialisms that you'll hear the science team use to name them, but the only acronyms I sometimes use are the ones that actually name instruments. "SAM" is the name of the whole package, and its three analytical sub-instruments are the gas chromatograph (GC), the quadrupole mass spectrometer (QMS), and the tunable laser spectrometer (TLS). The SAM suite's three instruments are the tunable laser spectrometer (TLS), the quadrupole mass spectrometer (QMS), and the gas chromatograph (GC). Quadrupole Mass Spectrometer (QMS): A mass spectrometer uses electromagnetic fields to separate charged particles according to their mass-to-charge ratio (m/z). Curiosity's mass spectrometer is sensitive to molecular masses from 1.5 to 535.5 Daltons, with a resolution of 0.1 Dalton. That's a pretty high mass for a spaceborne mass spectrometer, as far as I know. The Cassini Saturn orbiter also has a quadrupole mass spectrometer (its Ion and Neutral Mass Spectrometer or INMS), but that one only reaches to 99 Daltons. The higher number is needed for Curiosity because of the larger carbon compounds that they hope to detect. The quadrupole design on Curiosity's instrument is very similar to the one that was on the Galileo Jupiter atmospheric probe. Curiosity's mass spectrometer has an ion source and detector assembly based on one developed for the ill-fated comet mission CONTOUR. It is more than 10 times more sensitive than Cassini's. The QMS can operate continuously, taking readings every 0.02 seconds. Gas Chromatograph (GC): The gas chromatograph allows Curiosity to separate a mixture of gases, which improves the mass spectrometer's ability to identify them. 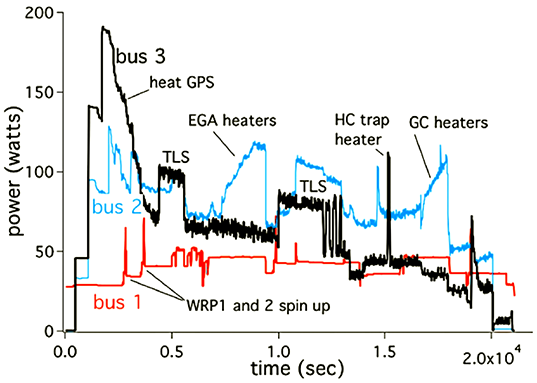 Gas chromatography helps a mass spectrometer distinguish among different organic compounds that have the same molecular weights. It is particularly focused on compounds made of light elements: hydrocarbons and atmospheric gases. There are actually six different gas chromatograph "columns." Each of the six columns is a tube 30 meters long but only a quarter of a millimeter in diameter. The tubes are wound into coils to pack them inside the instrument, so each of the "columns" actually looks like a disk, from the outside. Thus the six circles making up the GC instrument in the photo of SAM. Each of the columns is designed to work on different (but overlapping) ranges of molecular weights. One column targets small carbon molecules (chains of 1 to 4 carbon atoms) and ammonia, two look at medium molecular weight hydrocarbons (5- to 15-carbon chains), and so on. Three of the six columns have traps that adsorb interesting gas species as they arrive at the start of the column, in order to concentrate them; flash heating of the traps releases the gas molecules all at once, boosting the chromatograph's ability to separate them into different constituents. The inside surface of each column is coated with a different substance. The substances grab hold of gas molecules and release them. Different gas molecules have more or less affinity for each column's coating. So the long, thin tube separates different gas molecules by their affinities -- in general, the less sticky molecules exit the column first, the stickiest last. In addition, large molecules tend to move more slowly down the column than small molecules. As gas molecules exit the tube, they pass across a thermal conductivity detector (TCD), which can detect the major species in the gas down to the part-per-million level. From there, the separated gases go into the mass spectrometer. 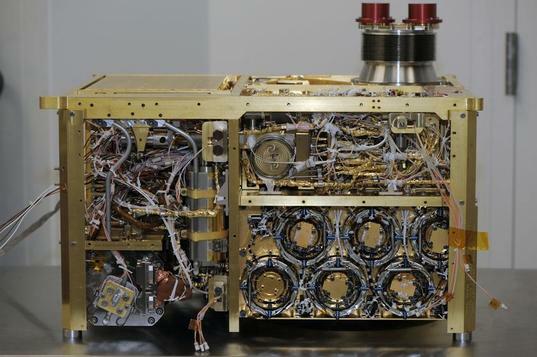 This is not the first gas chromatograph mass spectrometer (GCMS) sent to Mars, but it's the first one since the Viking landers. The design of Curiosity's is based upon the GCMS that was on Huygens, the Titan atmospheric probe. Tunable Laser Spectrometer (TLS): The tunable laser spectrometer is different from the gas chromatograph and quadrupole mass spectrometer. The GC and QMS are designed to survey across a wide range of atomic masses, measuring the abundances and isotopic ratios of a wide variety of gases. The tunable laser spectrometer measures only three specific gases: methane, carbon dioxide, and water. 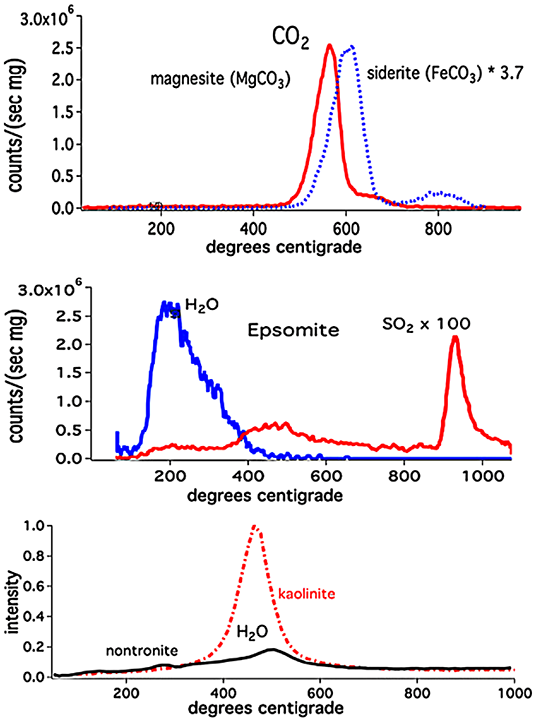 It can make very precise measurements of the isotopic ratios of hydrogen, carbon, and oxygen that they contain by looking at specific-wavelength emission lines of the different isotopes of those three elements. The tunable laser spectrometer doesn't operate continuously, unlike the QMS. SAM waits until the TLS chamber is filled to some desired pressure, and then performs a TLS reading. Then it usually will pump out some of the gas and perform another reading at a lower pressure. It usually repeats this a few times. Reading at multiple different pressures makes sure that there will be at least one reading for each gas at which the detector is not saturated. Used in concert with the GC and QMS, the tunable laser spectrometer can help determine the abundances of gases that can be hard to pull out of mass spectrometer measurements because of ambiguous molecular masses. These are things like carbon monoxide/molecular nitrogen (which both have a mass around 28 Daltons), nitrous oxide/carbon dioxide (44 Daltons), or deuterated methane/heavy-carbon methane (17 Daltons). The various valves, manifolds, and traps give the SAM team tremendous control over the movement and processing of air and rock powder samples. To reduce this complexity to something more manageable, they have designed a short list of typical experiments, which can be modified using a scripting language developed especially for SAM. Here are those most typical experiments. To perform any atmospheric analysis, SAM begins by activating its pumps and performing background readings from QMS and TLS. Then SAM heats the manifolds and tubes that it will use to transfer the gas from outside the rover to the instruments. (A typical temperature is 135°C.) Once the instrument is at temperature, SAM opens a valve to take in air. Direct analysis of atmospheric gas: This will be the most frequently performed atmospheric sample experiment, involving mass spectrometry and laser spectrometry measurements of the atmosphere. SAM performs a QMS measurement first, then it uses the TLS. The TLS measurement is performed several times with the pumps establishing different pressures inside the instrument. Noble gas analysis: SAM directs air into manifolds containing "scrubbers" and "getters." These can bind the most abundant constituents of the atmosphere -- carbon dioxide, nitrogen, and water -- leaving behind the trace constituents, including noble gases (and also methane). Argon and neon are the most abundant noble gases in Mars' atmosphere, so they comprise the bulk of the remaining gas. This remaining gas can be directed to the QMS for isotopic analysis. Or it can be sent to another manifold, where a thermoelectric cooler traps the heavier noble gases xenon and krypton. After SAM pumps out the (mostly argon and neon) remaining gas, it warms the cold trap to release the xenon and krypton to be pumped to the QMS, again for isotopic analysis. Methane analysis: In a procedure similar to the noble gas analysis, SAM uses the getters and scrubbers to remove carbon dioxide and nitrogen from the air. The remaining gas (which is mostly argon, but which will contain some of the methane) is directed to the TLS. SAM repeats this procedure multiple times to raise the density of methane gas in the TLS -- if it's there at all. Atmospheric enrichment: Sort of the opposite of the methane analysis, SAM directs atmospheric gas over the scrubber, then pumps out the remainder and releases the trapped gases. The scrubber's main purpose is to take up carbon dioxide and water, but it also traps hydrocarbons heavier than methane as well as other trace gases. So whatever has been taken up by the scrubber is released either to the TLS -- which can then perform an isotopic analysis of the water -- or it is sent to another manifold containing a trap that traps hydrocarbons, which can later be released to the QMS or GC. SAM processes solid samples with its Sample Manipulation System (SMS). 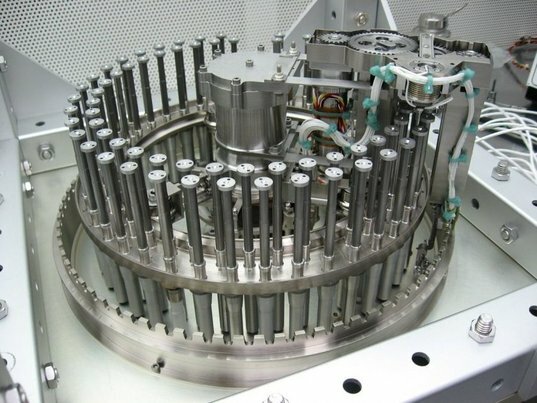 The heart of the Sample Manipulation System is a carousel containing 74 sample cups in two concentric rings. There are three main kinds of cups: 59 quartz cups, 9 wet chemistry cups, and 6 calibration cups. The carousel can deliver individual cups to one of two ovens by rotating to place the chosen cup underneath the oven, then disengaging the cup from the carousel and lifting the cup upward to put the sample cup inside the oven. It shoves upward with force powerful enough to create a tight seal between the top of the sample cup and the roof of the oven. One of the ovens has a maximum temperature of 950°C, the other 1100°C. Baking to these high temperatures requires a huge (for Curiosity) amount of energy; on any sol that SAM's ovens are on, Curiosity can do almost nothing else. The sample manipulation system (SMS) on Curiosity SAM is a carousel of two concentric rings of 74 cups made of either quartz or metal. Here it is upside-down. You can watch a video of this machine in operation here. Curiosity uses the tools on the end of the robotic arm to obtain some soil or rock powder and sieve a sample so that all particles are smaller than 150 microns in diameter. Then the arm portions out a very small amount (0.078 cubic centimeters -- think of a round pill a centimeter across and a millimeter thick) and delivers it to SAM through one of the two the Solid Sample Inlet Tubes (SSITs). These tubes vibrate in order to make sure that the sample doesn't get stuck on its way in. The sample drops into a waiting cup. Evolved gas analysis: This is the most common solid sample measurement. Of SAM's 74 sample cups, 59 are devoted to evolved gas analysis. SAM prepares for this experiment with a little housekeeping, cleaning a cup. Cup cleaning involves placing a cup inside an oven and baking it above 900°C while sending occasional puffs of helium inside. The cup stays inside the oven, nice and clean, until the next sol, when SAM takes it out and rotates it underneath the inlet. The inlet opens, the arm funnels a sample inside, and SAM puts the cup back in the oven. Just as for atmospheric analysis, SAM starts by heating all the manifolds and tubing that will be carrying gases, then takes background measurements with the QMS and TLS. SAM warms the oven to 125°C and holds that temperature for 10 minutes. A constant flow of helium brings gases from the oven to the QMS. The oven starts ramping up the temperature, and the QMS continuously scans. The composition of the gases coming out of the oven will change as the temperature rises; the most volatile species will wind up in the QMS first, the most refractory last. Some of the stuff in the sample goes directly from solid to gas -- its abundance in the QMS was its abundance in the solid sample. But most of the materials decompose into simpler compounds as the temperature ramps up; the SAM team has to work backward from the simpler gases that QMS measures to the compounds that decomposed to make them. The temperature at which each gas appears in the QMS can be diagnostic of the material that decomposed. It's a lot like reading infrared spectra, where there are some materials whose presence will be obvious in the QMS data, and others that can be ambiguous and will have to be teased out with careful analytical and modeling work. 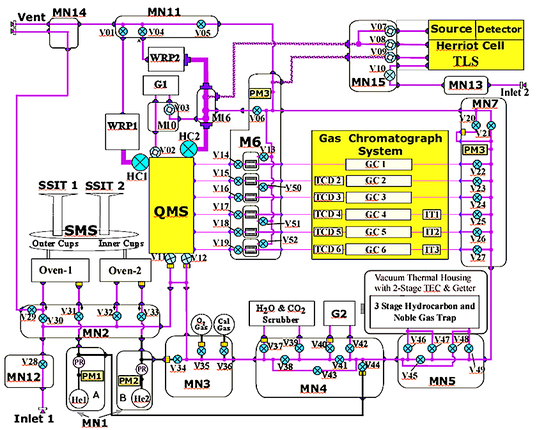 There are ways that the evolved gas analysis can be tweaked. At certain times, some of the evolved gas can be directed into the TLS (where it will be held for later analysis of water, carbon dioxide, and methane abundance and isotopes), or it can be sent over the hydrocarbon trap to, well, trap hydrocarbons. Gas chromatograph mass spectrometer analysis: After an evolved gas analysis, SAM will usually go on to perform gas chromatography and mass spectroscopy of the stuff that was caught in the hydrocarbon trap. SAM heats its hydrocarbon trap, which releases the stuff that stuck to it. It sends the released hydrocarbon gases through one of the six gas chromatograph columns. As the gas exits the column, it's measured with the thermal conductivity detector and then with the mass spectrometer. Tunable laser spectrometer analysis: Once the gas chromatograph analysis is done, SAM will usually go on to use the tunable laser spectrometer to look at abundances of and isotopes in water, methane, and carbon dioxide. The whole sequence of evolved gas analysis - gas chromatograph mass spectroscopy - tunable laser spectrometry takes 4 to 6 hours to complete and most (if not all) of the battery life Curiosity has available in any given sol. If there's not enough power available to do all three analyses in one sol, the activities can be spaced out over multiple sols. SAM is a power-hungry instrument. This is a power profile (power versus time) for a full EGA/GCMS/TLS sequence lasting nearly six hours. This data was measured during SAM thermal vacuum qualification. Solid sample combustion: After evolved gas analysis, there will almost always be a residue left inside the sample cup. Some carbon compounds may not become volatile even at the highest temperatures SAM's ovens can achieve. To try to get at the composition and isotopic ratios in this stuff, SAM can actually combust it. SAM contains a reservoir of oxygen. With oxygen puffed into the oven, heating the cup above 750°C for some period turns refractory carbon compounds into (primarily) carbon dioxide. By sending this gas to the TLS, SAM can determine the isotopic ratio of ordinary carbon-12 to heavy carbon-13 in the material. With evolved gas analysis or combustion finished, there will be still be a residue left in the cup. This material will remain in the cup for the rest of the mission. But since it is, by definition, material that wouldn't exit the cup even when heated to the maximum temperature, SAM can actually reuse the sample cup for another, later analysis, and the residue shouldn't contaminate the results. The cups are deep enough to receive many samples. Wet chemical analysis: Some of the most interesting carbon compounds that Curiosity might find are ones that SAM can't pick up through any of the above methods. These are large, astrobiologically interesting compounds like amino acids and carboxylic acids. They aren't volatile at low temperatures, and they rapidly decompose to smaller compounds at higher temperatures, so they're essentially invisible. To test for these, SAM's carousel carries nine precious wet chemistry cups, sealed with foil caps, containing solvents that break large hydrocarbons into smaller ones that SAM's gas chromatograph can separate. Each wet chemistry cup can only be used once. SAM pierces a cup, receives a sample, and puts the cup into an oven to be incubated at a relatively low temperature. The gases that come off the wet chemistry cup are analyzed using gas chromatography and mass spectroscopy. What Will the SAM Data Set Be? SAM is required to obtain specific data sets to specific performance levels. Inventory volatile organic compounds in rocks and soils, measuring anything that's more abundant than a few parts per billion (by mass). Measure the distribution of molecular weights and chemical structures for organic compounds in rocks and soils. Wet chemistry analysis will be required to get at some of these. SAM is required to inventory compounds containing everything up to 20 carbons. Inventory certain specific astrobiologically interesting molecules including amino acids, amines, and carboxylic acids. Measure the carbon-13/carbon-12 ratio in refractory carbon compounds. This is where the combustion analysis comes in. SAM is required to measure abundances of such refractory compounds to the part-per-million level. Measure the distribution of oxidation states of organic compounds. This gets at the environmental conditions that prevailed when they formed. Inventory and temperature-profile volatile inorganic compounds in rocks and soils. This will get at abundances of certain minerals present in the rocks, like carbonates, sulfates, and clays, to the part-per-million level. Measure the abundance and carbon-13/carbon-12 ratio of methane. Measure how atmospheric gas concentrations vary over the course of a sol and over the course of Mars' seasons. Measure the relative abundances and isotopic ratios of the noble gases argon, neon, xenon, and krypton. There are specific precision levels required for all these abundances and ratios; if you care about those specifics, look up Table 5 in the paper. There you go, 4000 words on SAM. I hope this will be helpful to some of you in understanding what we can and can't learn from the work done by this amazing instrument! Thanks to Sarah Horst for helping me explain some principles of gas chromatography. "Since it's hard to prove a negative, there will not be any slam-dunk finding from SAM that says 'Mars life was here.'" Apparently SAM can detect a carbon compound enantiomeric excess. While such a detection would not absolutely prove the negative, would it not be very strong evidence of a non-meteoric origin for carbon compounds? I think some of us nonscientists may have higher expecations of this mission. Maybe someone needs to ride herd on the committee in keeping a lid on discoveries until all the facts have been analyised. As to your blog,it was too wordy in my humble opinion. I am not a scientist. Maybe you can boil things down for us non-scientists. Just saying. Works for me. Thanks for the information. Please do NOT dumb down your writings! We depend on you for a genuine, unadulterated nerdfix. @Christopher: This is a hotly debated topic. Here's a recent paper showing enantiomeric excesses in a certain class of meteorites: http://www.pnas.org/content/109/30/11949.abstract This is a bit out of my expertise so I can't evaluate the validity of the arguments very well, but it does sound like an enantiomeric excess wouldn't, on its own, be slam-dunk evidence. Rob: There are lots of other places on the Internet where you'll find less wordy blogs; try Universe Today for starters, which does a fantastic job summarizing all the big news in space. I know that my regular readers, like Pete, come to me for depth and specifics that they won't get anywhere else. Stick with me and I hope I'll be able to teach you something about space geology! Yep, not one word fewer. And we're on the edge of our seats to find out what a PM is. Fantastic post, Emily! Though I am still in high school and not (yet) a scientist, this article is tremendously informative and well written. I am currently using it as a guide to the SAM tech paper as I try to decode the nitty-gritty details of that myself. Please keep up the good work and the detail in your articles! I just wish NASA/JPL would simply send scientific instruments capable of directly detecting microbial life. Evidently, an electron microscope has not been reduced in size and weight to the point where it could be flown on a rover mission. At least MSL can measure the C13/C12 isotopic ratio, which is a biomarker for life since life prefers to utilize the lighter C12 isotope due to energy optimization. However, you need some sort of reference C13/C12 sample, for comparison. The more "intermediate" steps NASA continues to take, the more strain on funding it creates. Why is NASA flying every type of science instrument on Mars rovers, except for any instruments capable of directly detecting microbial life? As for the recent speculation about MSL making an "Earth-shaking" discovery, I heard that it was nothing more then a "false positive", and that one of the scientists simply got excited at first glance look at the results from SAM. Thank you for the reference to Sandra Pizzarello's PNAS article. I just Emailed her suggesting that she post a copy on her Web site, as is permitted by PNAS copyright policy. If this paper should become publicly available in this way, I'd love to read it and comment further! Since the sample cups, at least the quartz ones can be reused, what's the main limitation on the ultimate number of samples that can be run through SAM? The reservoir of helium for moving the gas samples around? I agree with the others, please keep the level of detail as it is. Thanks for your work. I really enjoyed the depth of information in the post. I agree with the others who don't want you to change a thing. Thanks for all your work! I wish I was able to edit my comments after posting! If so, I would remove the "even present!" part above. Existing life on Mars is doubtful and extremely unlikely near the surface where MSL could get to it. Great post Emily! Keep the technical details coming. This is one of the few forums where we can get the good stuff instead of the dumbed-down pablum from the major new outlets.
" Why is NASA flying every type of science instrument on Mars rovers, except for any instruments capable of directly detecting microbial life?" I am not sure it really makes much sense to say what is the best suite of instruments is best for looking for life until we can have at least a crude idea of the chemistry of Mars. Hence SAM (plus ChemMin, ChemCam, and APXS). With knowledge that these instruments will give scientists an idea of what substances really are on Mars (or at least where MSL landed) and a chance to frame questions of current or past life more intelligently. @Emily - a fantastic piece - thank you! @Robert Elowitz -Remember - while you may feel in a rush for answers, and austerity might slow down the rate of exploration for now, JPL/NASA and the associated Mars scientists have long since abandoned rushing this science. Viking taught us that lesson. The current slow, phased strategy - orbital reconnaissance, geochemical landers, landers to search for water and carbon, exobiological landers, sample return and human missions – has been exceedingly well thought out. I recommend you read the 1995 document “An Exobiological Strategy for Mars” which sets out the case for the right science in the right order. You’ll be then convinced we’re doing the right thing. And remember – this is not a race – it’s about doing the right science to uncover answers to one of the fundamental questions about the nature of our existence – how long do you expect that to take? I’m convinced we can say this: the science we have done over the past decade and a half has revolutionised our thinking on Mars, lead to the realisation that Mars is a watery world, provided the next pivotal questions to ask and points to an extraordinary future. 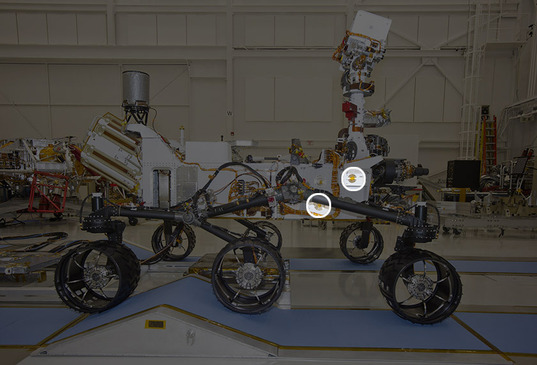 In my opinion, JPL/NASA have not put a foot (or is that a wheel?) wrong, and surely posterity will thank us? Surely future generations will look back at this science and say – it could not have been done better – and thank us for it. Kevin Nolan, Volunteer coordinator, TPS Ireland. A definite indication of life is based on the unique property of living organisms to produce a discrete (non-continuous) distribution of the concentration of biomolecules versus the type of molecule. Since terrestrial based life uses only a very small subset of biomolecules for structure and metabolic functions (e.g. 20 amino acids, the four nucleobases making up DNA, and various precursors to lipids), unique patterns (clustering) in the distribution of biomolecules results. This is not the case for organic compounds resulting from non-biologic (abiotic) processes. Such abiotic processes would result in a more continuous distribution in contrast to the more discontinuous distribution of organic molecules used by living organisms. The unique patterns in the distribution of organic molecules could be used as a definite biosignature for life. Perhaps the mass spectrometer on MSL could look for such unique patterns? @Robert Elowitz:While your explanation on detecting unique properties of living organisms is excellent, it still reads as if you feel NASA have missed this point. Surely NASA/JPL have thought of all such possibilities. The point is, how did we know where on Mars to send MSL? The answer is - though the lengthy, thorough, step by step process of characterising the planet - a job still only in its infancy - so as to identify the very best sites to examine. To do the sorts of science you suggest is not quite possible yet - where woudl you suggest we look? You could arguably send a thousand space probes to Mars to look directly for life, and not find it, even it is IS there. So this mission is part of a longer, more thorough process to characterise the planet, with the eventual hope that we gain ever deeper insights as to what the planet has to say about the connection between planetary evolution and life related processes. And that ius why NASA has been careful to indicate that MSL is not specifically looking for life - that would arguably be a naive search - rather we are doing the science the best way we know how, to build up an every better picture of the whole planet. Of course MSL may identify biomarkers if they are there - but - it is not going out of its way to look for them, rather, it is doing a thorough, complete characterization of region. We are not expecting a 'eureka' moment from this mission, rather it will (and is already doing so) provide better insights into Mars' early history and what that might say about the habitability of life. That's the very best we can do right now. If the quartz sample cups can be reused multiple times, why were so many (59) put on the carousel? @Brett: Quartz cups can be reused, but not cleaned completely, so they will be filled step by step (by non-volotiles). Remnants are not expected to falsify subsequent analysis results, because all (detectable) volatiles can be removed by pyrolysis. Gerald, that makes sense. Thanks! Very nice to read. One for the people asking for an life detection instrument: A life detection instrument has only one criteria for a successful mission and this is detecting life. Nobody at NASA is capable to accept the risk to send a big instrument to Mars and than to state that: We did not fulfill all our required goals, making this a partly successful mission. The MOMA instrument onboard ExoMars is very similar, partly because it is built by a very similar composed group is building it, is a life detection instrument. As ExoMars is still somewhat a technical demonstrator the science requirements are not the highest priority. I will take an educated guess, and suggest that the PM's in the instrument diagram are flow controllers/pressure regulators?